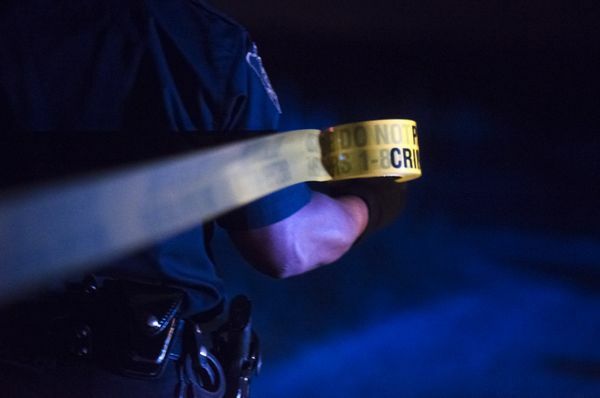 OSCODA TWP, MI – Police in northern Michigan are investigating what they believe is an attempted murder-suicide incident on a former U.S. Air Force base. At 11:27 a.m. on Thursday, Feb. 7, Oscoda Township police responded to a gun complaint — later upgraded to a shots-fired report — in the residential area of the former Wurtsmith Air Force Base. While officers were en route, the initial caller advised dispatchers that two people had been shot inside a house. Officers entered the house and found 37-year-old Rickie L. Cheatum Jr. dead on the floor from a gunshot wound to his head. Cheatum’s 31-year-old male roommate was unconscious on the floor, suffering from an apparently self-inflicted gunshot wound to the head, police said. Witnesses told police the two men had a verbal altercation. During it, the younger man grabbed two handguns and shot Cheatum before turning one of the guns on himself, police reported.